Video Vortex has taken place twice in Brussels and Amsterdam and once in Ankara, Split and Yogyakarta. 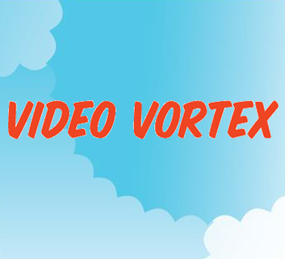 The Video Vortex network was founded in in 2007 and deals with the cultural, political and artistics aspects of online video. Video Vortex 8 is organized by the Kazimir Association in Split and The Museum of Contemporary Art, Zagreb in collaboration with the Institute of Network Cultures in Amsterdam. Video Vortex 8 will consist of a conference, an exhibition, screenings and performances. This call pertains to the conference. Artists who will present work at the conference will also be included in the accompanying exhibition. 1. Contemporary art and online video. 2. Theoretical discourses and online video. Concepts related to the aesthetics and structure of the moving image. Including, but not limited to, online-only production, torrent-based original programming, YouTube-centered narrative and artwork, community-funded cinema and scholarship in an online environment. 3. Social networks and online video in the region. 4. Techno-colonialism, surveillance and control of the distribution of the moving image. 5. The perspective of online cinema. 6. Artists talk about their own work and research in online video. 7. Technological aspects of new developments in participatory video. 7. Technological aspects and new developments of online video.